One year ago today, the driving forces behind Canadian university sports unveiled a new name at news conferences in Montreal and Toronto. Twelve months later, U SPORTS is firmly established as the national brand of the country’s outstanding post-secondary student-athletes and their support system. It gives me goose bumps, I can’t wait to play. Since the rebrand announcement, collaborations and synergies with the CFL, the NHL (Declaration of Principles initiative), and various National Sport Organizations (NSOs) such as Swimming Canada and Canada Basketball for the Summer Universiade for instance, or with Tennis Canada and Golf Canada for the Canadian University Championships, have further solidified U SPORTS’ reputation as a highly-respected sports leader. The excitement created by the rebrand unveiling – for student-athletes and fans alike – continues to resonate with followers of Canadian university sports, including through the revamped USPORTS.ca website and its connected social media channels (Twitter, Instagram, Facebook and YouTube). 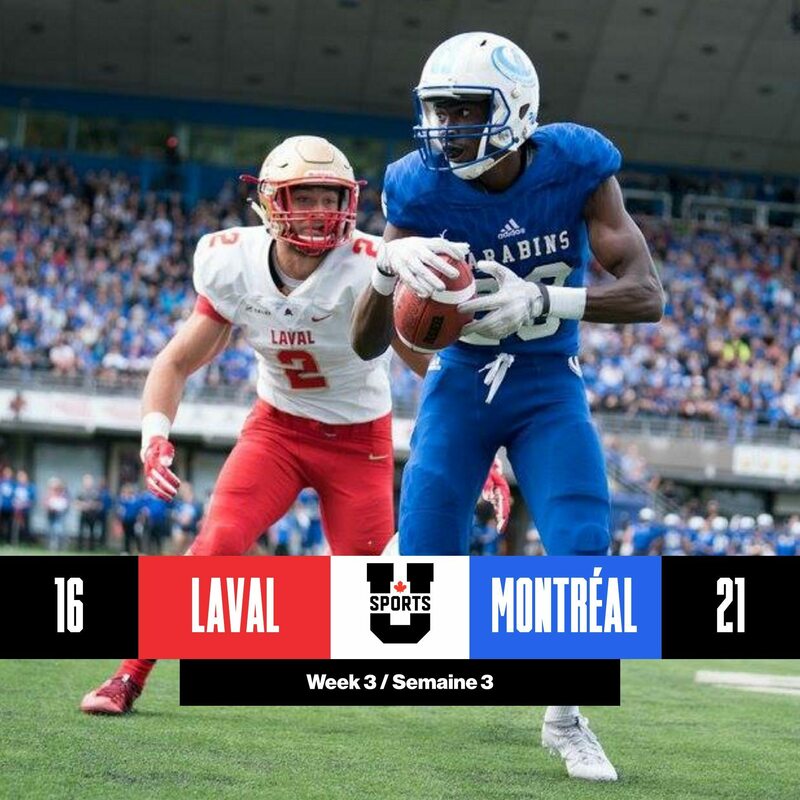 Introduced on Sept. 14 as the latest phase in the U SPORTS rebrand, the new-look USPORTS.ca delivers an appealing digital experience through numerous aesthetic enhancements and an exciting new editorial strategy, combining to offer a comprehensive and engaging user experience. “Our goal was to make USPORTS.ca a fan-friendly, easy-to-navigate website, where we could bring the stories of our great student-athletes to the forefront, while also delivering key sports information and news from the country’s 56 schools,” said Ken Saint-Eloy, U SPORTS Senior Manager of Communications, of the website that was selected as Site of the Day by awwwards.com on Sept. 27, which has seen 120,000 visitors in its first month. Our social properties also reflect that commitment to providing a first-rate experience for the thousands of loyal fans of Canadian university sport, and beyond. A new editorial strategy – rich content that brings to life the compelling stories of the 12,000 student-athletes – coupled with the production of additional and higher-quality graphic and video content, has enabled USPORTS.ca and its social channels to widen its scope and attract a larger audience. 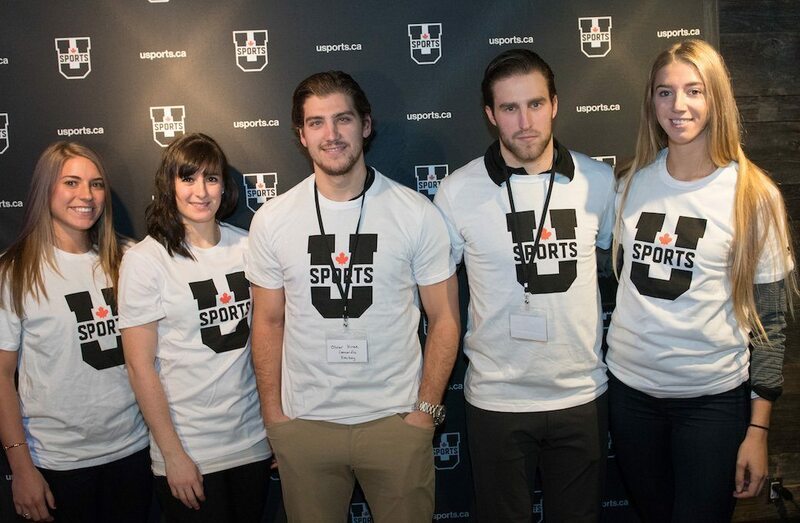 Starting with the U SPORTS Correspondent Program (student-journalist storytelling) at the beginning of the 2016-17 season, USPORTS.ca has introduced a higher number and more diverse profile of contributors, while also showcasing exciting new social media initiatives. At this year’s Panda Game, the annual football clash between cross-town rivals Carleton and Ottawa (read more below), Kenzie Lalonde, a former women’s hockey standout with the Mount Allison Mounties and current U SPORTS social media host, covered all the action from the sidelines, delivering unique, in-depth coverage of the event. As well, last year during the Uteck and Mitchell Bowls, as well as other national championships, student-athletes and teams were given the opportunity to take over the U SPORTS social media accounts – a chance for fans of Canadian university sport to get an ‘insider’s view’ of the events. 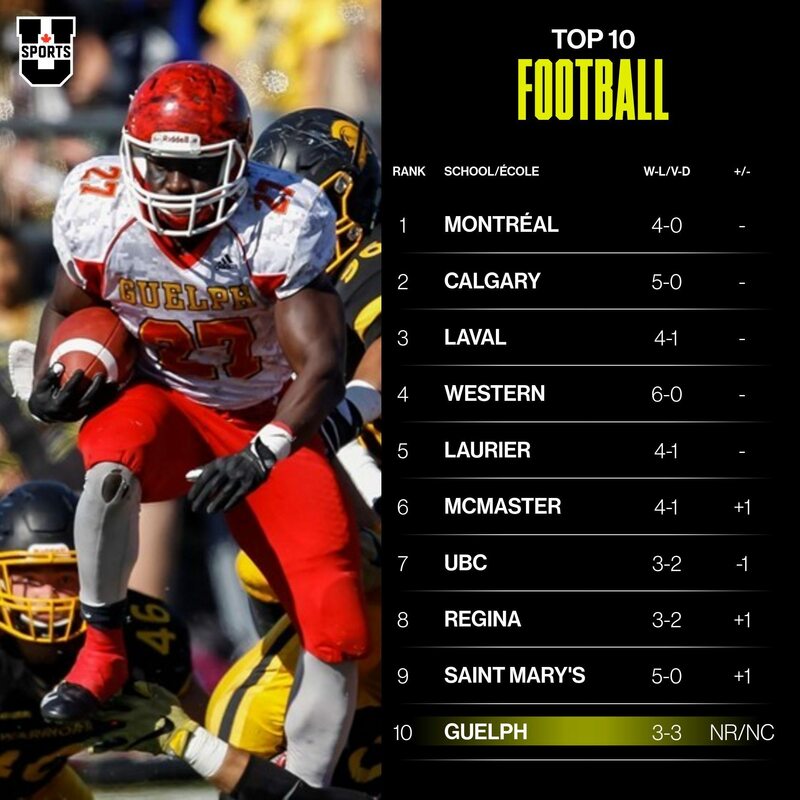 U SPORTS’ use of social media as a vehicle to not only tell the stories of its student-athletes - especially at national championships – but also to distribute these stories to today’s technological-savvy students, has resulted in a tremendous boost in key metrics areas since last October’s rebrand. As of Oct.20, 2017, the number of Twitter (@USPORTSca) followers has grown to 29,000, a jump of 24 per cent from last October. Facebook (@USPORTSCanada) ‘likes’ have risen 33 per cent (8,670 versus 5,800), while the number of Instagram ( @USPORTSca) followers rose 56 per cent, recently reaching 10,000, up significantly from 4,444 one year ago. 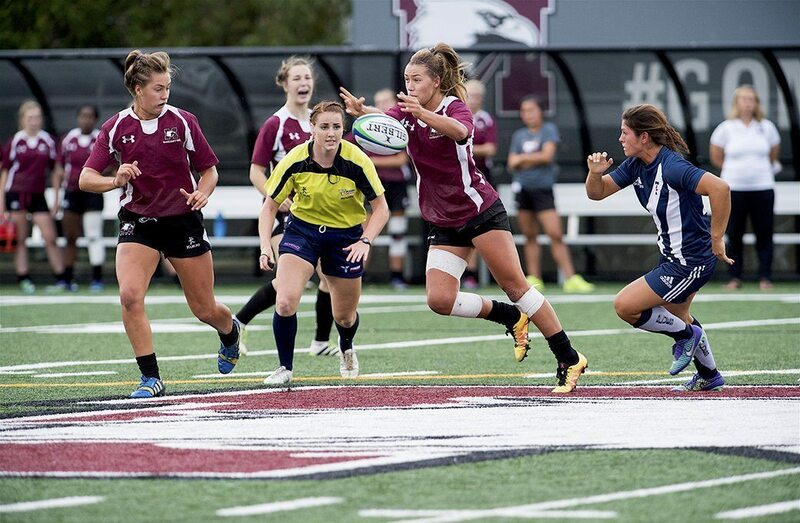 U SPORTS will continue to work closely with all four conferences (Canada West, Ontario University Athletics, Réseau du sport étudiant au Québec, and Atlantic University Sport) and all schools, to highlight the stories of the student-athletes at the national level. On the field, U SPORTS athletes and teams are standing out at home and on the world stage, including former BLG Award winners as U SPORTS Athletes of the Year Kylie Masse, Andrew Buckley, Philippe Maillet and Arielle Roy-Peticlerc. Masse, a swimming star at the University of Toronto became an Olympic medalist – tying for bronze at the 2016 Summer Games – and world record-holder in the 100m backstroke, a feat she achieved this July at the FINA world championships in Hungary. Her triumph broke an eight-year-old record while becoming the first female Canadian swimmer to ever win a world title. Buckley, a two-time Hec Crighton recipient with the University of Calgary Dinos, is now a quarterback with the Calgary Stampeders. In 2016, he became the first Canadian to pass for a touchdown in the Grey Cup since Russ Jackson in 1969. Maillet (University of New Brunswick), the 2017 U SPORTS men’s hockey Player of the Year, University Cup champion and MVP, signed a pro contract with the Ontario Reign, the American Hockey League (AHL) affiliate of the Los Angeles Kings. Roy-Petitclerc, a soccer star at Université Laval, and last year’s female BLG Award recipient alongside Maillet, was selected as flag-bearer at the 2017 Summer Universiade in Chinese Taipei, leading a delegation of 387 Canadians into the Opening Ceremony. In the international program, gymnast and Olympian Ellie Black (Dalhousie University) became the first Canadian gymnast to win a world all-around medal, taking silver at the recent 2017 world championships in Montreal. For the first time, U SPORTS also sent five teams this year fully managed by U SPORTS to the Summer Universiade. The men’s and women’s soccer and volleyball teams, along with the men’s basketball squad sent to Taipei over the summer were all run in-house instead of their respective NSOs as in past. Team Canada came home with 13 medals from the Games – four gold, five silver and four bronze. 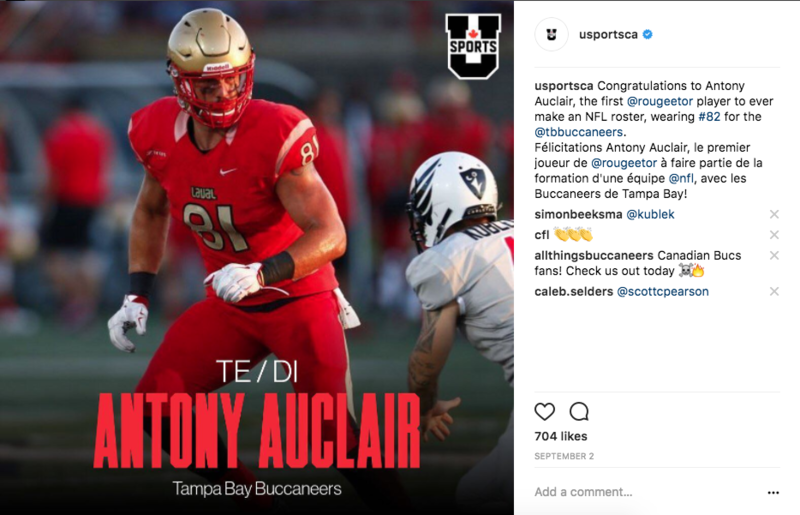 On the gridiron, football player Antony Auclair (Université Laval) made the Tampa Bay Buccaneers’ 53-man roster. 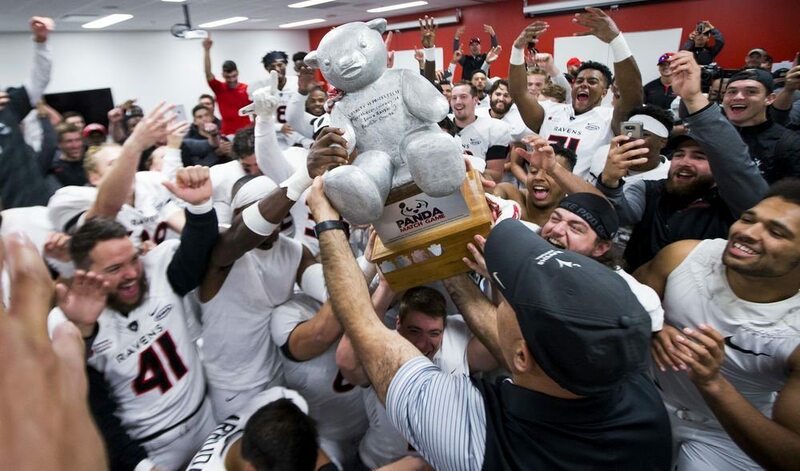 Schools are also making their mark with notable achievements, including the Carleton men’s basketball squad, defending seven-time national champions, who continue to shine on the hardcourt, both on home soil and against NCAA competition. Meanwhile, the 2017 Panda Game – a rivalry that originally kicked off in 1955 - was played in front of a modern-day Panda Game-record crowd of 24,420. Other marquee matchups that annually draw top attendance across the country include the Crowchild Classic (Calgary/Mount Royal) and Steel Blade (Brock/Guelph) men’s hockey events, the Capital Hoops Classic basketball game between Ottawa and Carleton, and the North America Challenge last December that saw the host McMaster men’s volleyball team sweep the NCAA’s top-ranked Ohio State Buckeyes in three sets. 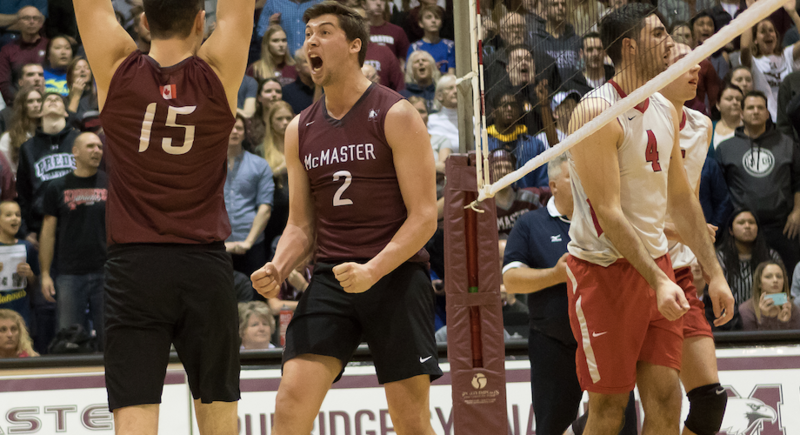 Now in its fourth year running, the two teams are set to clash again this weekend at McMaster’s Burridge Gymnasium in a two-game series. U SPORTS hockey also continues to grow in both popularity and on-ice success. 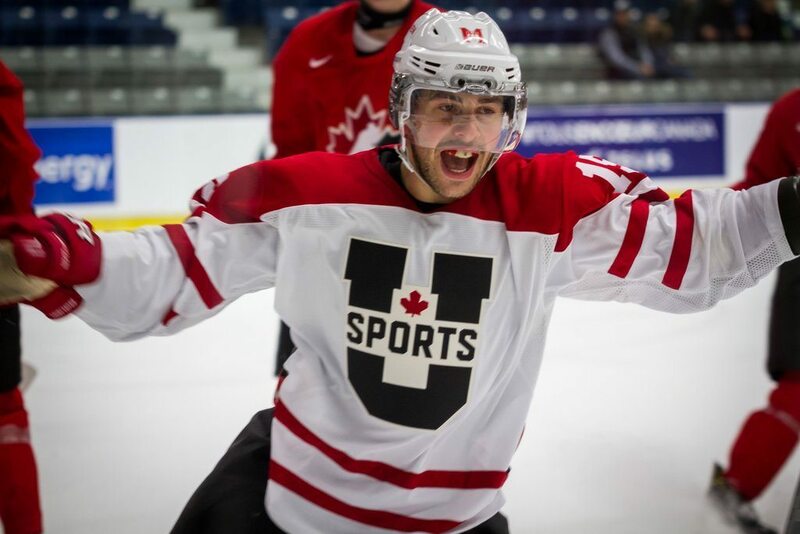 In 2015, the U SPORTS All-Stars – featuring the best players across the country – defeated Canada’s National Junior Team Prospects in a shootout. Last summer, the best U SPORTS women’s hockey players defeated Canada’s National Women’s Development Team. Next month, former University of Alberta hockey head coach Clare Drake will be inducted into the Hockey Hall of Fame as part of its 2017 class. All of these achievements are a testament to the talent level demonstrated by Canadian student-athletes and the programs available to them at their U SPORTS institutions. We look forward to continuing to shine the light on the outstanding accomplishments and personal triumphs of the student-athletes. Their stories will no doubt strike a chord with everyone who reads them on USPORTS.ca.